Your Social High Rise service will begin upon successful completion of your initial billing to Social High Rise. By subscribing to Social High Rise’s services, you grant Social High Rise permission to (1) create, access and manage social media profiles in your name using Social High Rise content, your content, and publicly available information; (2) post, at Social High Rise’s discretion, content to the above-mentioned profiles in your name, including but not limited to content that mentions, discusses, or promotes third parties; and (3) access, collect, read, analyze, and otherwise use on your behalf the information available on the above-mentioned profiles. Upon termination of your Social High Rise subscription, you retain the right to access and control the above-mentioned profiles, as well as your content. The services are provided “as is”, “as available” with all faults and without warranties, representations or conditions of any kind. Use of the services is entirely at your own risk. 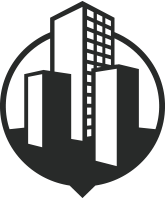 Social High Rise does not make any representations, warranties, or conditions about the quality, accuracy, security, reliability, completeness, or timeliness of the services. Social High Rise does not assume any responsibility for any incompleteness, errors, security, problems, omissions, inaccuracies, or other limitations in, or interruptions in the operation of Social High Rise’s services. Social High Rise shall not be liable to you or any other party for damages, loss of profits, loss of business, decreased Yelp rankings, indirect, incidental, or consequential damages of any kind. Regardless of whether Social High Rise was advised or warned, in no event shall Social High Rise be liable out of or in connection with these Terms of Service exceeding the amounts paid by you to Social High Rise under the subscription giving rise to such liability. By subscribing to Social High Rise’s services, you may agree to a minimum contract length of six (6) months, during which you agree to pay for service on a monthly basis. Once the minimum contract length has expired, service and billing will automatically renew on a monthly, quarterly, bi-annual, or annual basis, according to your subscription agreement. Subscriptions are billed on a monthly, quarterly, bi-annual, or annual basis and renew on the same day of the month upon which the subscription was initiated. Subscription billing cannot be pro-rated and is non-refundable. You are solely responsible for properly canceling your subscription. In order to cancel your subscription, you must notify Social High Rise via telephone at least three (3) business days before the expiration date of the contract and acknowledged by the expiration date of the contract. Email, text-messages, and voice mail messages are not considered valid methods of cancellation. Cancellation of your Social High Rise subscription will result in the cancellation and deletion of your account. Social High Rise will not delete or tamper with any public posting or changes made during your subscription. Social High Rise reserves the right to remove or delete any non-public, scheduled work not yet posted publicly. Social High Rise may, in its sole discretion, exercise its right to suspend or terminate your subscription. Additionally, Social High Rise may refuse any and all current or future use of service for any reason at any time. Social High Rise reserves the right to refuse service to anyone for any reason at any time.